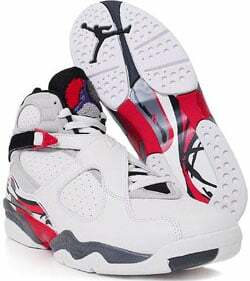 A sad feature about the Air Jordan VIII was they were not as comfortable as other Air Jordan models. The straps (also called bunny ears) would make the shoe tight on the sides, so people with wide feet had a hard time wearing them. What the Air Jordan 8 did have going for it is: durabuck uppers, Air sole, Huarache inner sleeve and anti-inversion cross-straps (aka bunny ears). 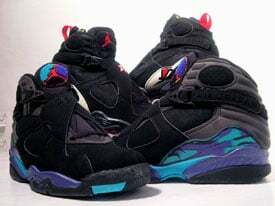 In 1993 the Original Air Jordan VIII released in three color ways. The Color schemes were White/Black-True Red, Black/Bright Concord-Aqua Tone and Black-Black-True Red. 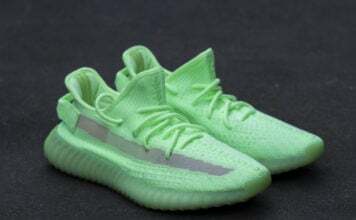 They sold for $125.00. 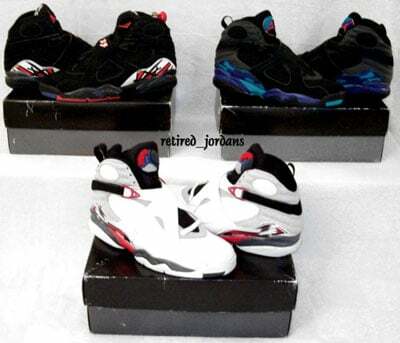 When 2003 came, Jordan Brand released two more models of the Air Jordan 8 selling for $135.00, also two low cut versions of the AJ VIII were released and sold for $110.00.